I can think of no better way to celebrate National Running Day than with a recap of the Suja Rock ‘n’ Roll San Diego Marathon & 1/2 Marathon To Benefit The Leukemia & Lymphoma Society®! 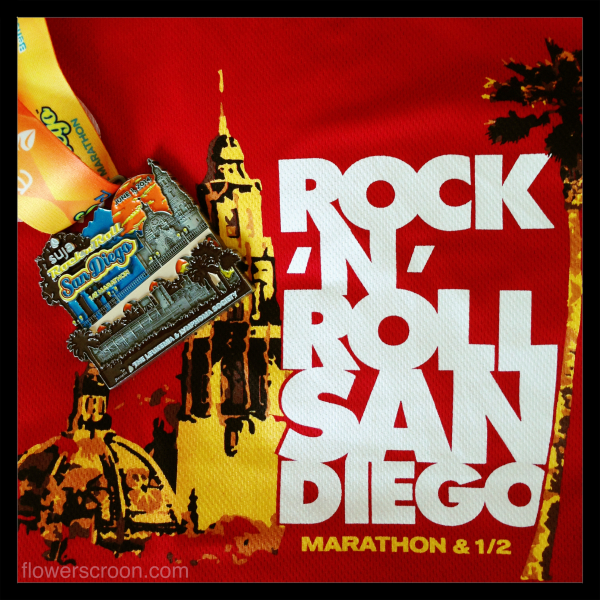 As a Rock 'n' Blogger on a mission towards earning that beautiful Cali Combo bling, I ran the San Diego race and will be running the San Jose and Los Angeles races as a Rock 'n' Blog Representative. I am so honored and pleased to be covering these Competitor Group races throughout my home state! In honor of National Running Day, check out these discounts on Rock 'n' Roll races in the USA and Europe and these fun and virtual runs! I arrived in San Diego at about 1:30pm on Saturday afternoon. I had to work that morning, so I was unable to arrive at the Expo as early as I'd hoped. 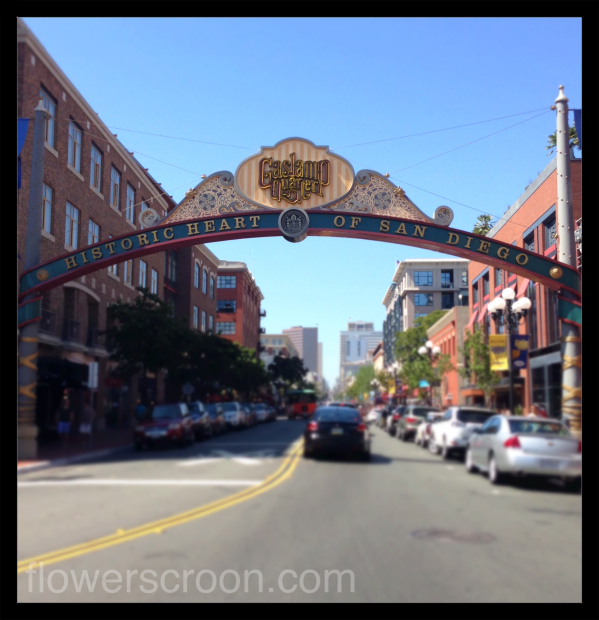 I grabbed my rental car, drove to the Gaslamp Quarter, found metered parking and was in and out of the expo in less than an hour! I was able to purchase a parking pass and shuttle wristband, collect my bib, take photos, visit a couple of booths and even win a TShirt from Brooks before running back to my car. It was very well organized and super spacious. After the Expo, I drove to Shelter Island for a quick stop at Bali Hai for poke and a Mai Tai. How could I not? Mai Tai at Bali Hai is all liquor. No juice. You're welcome. Poke is my favorite pre-race meal. This hit the spot - fresh and spicy. After lunch at Bali Hai, I went straight to my hotel for the evening. The Hilton Mission Valley San Diego, currently undergoing an extreme multi-million dollar renovation, was unavailable for an official review. However, I would like to note that the staff was superb and the renovated room I stayed in was perfect. The hotel was also able to accommodate my late check-out request. Because I was not within walking distance of the race start or finish, I arrived at the San Diego Convention Center parking lot at 3:30am on race day. This is the same time I am usually drinking coffee before my early shifts - so it's not that big of a deal to me. I parked, took my time collecting my items and made my way towards the shuttle sometime after 4:00am. I arrived at Balboa Park fairly early, and met a super nice local runner who had also arrived early and we quickly hit it off. I love that I always meet the best people at races. She was running the marathon, so I hung out with her until her race started. We took fun photos at the start line. Of course I'm fast enough to lead this corral! While waiting for the marathon to begin, we ran into my friend Gail who I had not seen since February. It was so perfect to hug her before she took off to run her 5th marathon of the year! Soon Gail and my new friend Karla were off on their 26.2 mile adventure. I stretched and waited for my turn. Love my Saucony Triumph running shoes and my shoe bling. Soon enough, I was off on my very own adventure! What an adventure it was. There were bands, performers and radio stations all along the course. There were amazing spectators and cheerleaders covering every inch of every mile. These Team in Training supporters were my favorite. The course was fun and fast. I was surprised that most of the neighborhoods we ran though treated this event like a block party! Everyone was outside their house serving coffee, bacon, beer, candy, water...it was awesome. There was even twerking. I have never seen neighborhood support like this during any race I've run. You stay classy, San Diego! At about mile 5, many people were holding up signs indicating the race was "all downhill" for the remaining miles. Wrong. I had been told this course was completely flat, but it is not. It seemed like we gently moved uphill from miles 8 to about 11. From miles 11 to the finish was all downhill. It was tough for me, because by mile 6 the sun was out and it was HOT. Heat is my Kryptonite. Luckily, I saw this guy. If you've ever run a Rock 'n' Roll race, you know this guy makes everyone smile. I was somewhat on pace for a PR or close to one for the first half of the race, but I walked miles 9 - 11, so I had given up on a time finish and decided to stay cool instead. Before too long, the finish line was in my sights. My favorite thing about the finish line area? The wonderful volunteers who placed these towels into ice water buckets and handed them to us to cool down. That was a genius idea! I used the towel for several minutes to bring my body temp down. Thank you R 'n' R Volunteers! I collected my snacks and made my way to the finisher photo area. Soon I was walking back to the Convention Center parking lot. I wanted very badly to attend the post-race party at PETCO Park, but I had no idea what type of traffic I might be faced with getting back to my hotel. Plus, I had a rental car to return and flight to catch at 5:00pm. So, I found the nearest Starbucks, hydrated with my favorite zero calorie beverage and drove back to the hotel. Traffic back to the hotel was bad. I showered, snacked and headed right back into town towards the airport. I did end up at the airport earlier than I had hoped, but better early than late. I recommend staying near the downtown area for this race. I feel like I missed out on the after party as well as more expo time due to traffic worries. Also, if at all possible, I would not work the same day you're flying into any fun town. It is somewhat unavoidable for me, but for those of you who can enjoy these races as a racecation - DO IT. Enjoy it! 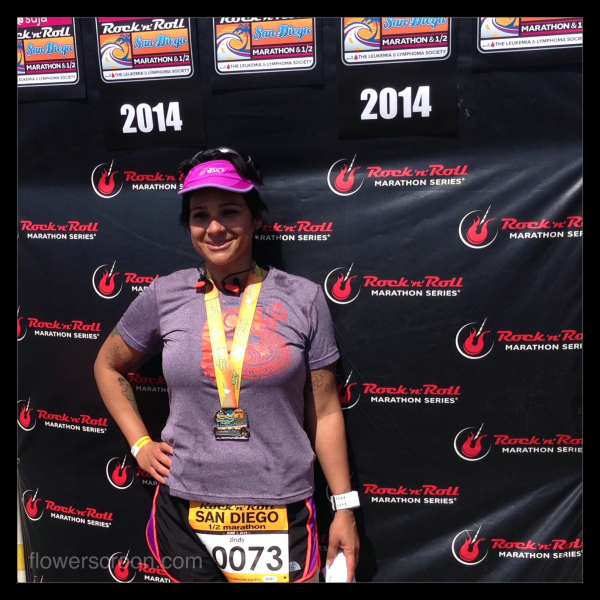 San Diego is a fabulous destination, this was a fantastic race. Don't miss out in 2015! Disclosure: I am a 2014 Rock 'n' Blog Team member. I have received race entries, but all opinions, photos, training, travel, lodging, meals and miles run are all my own!